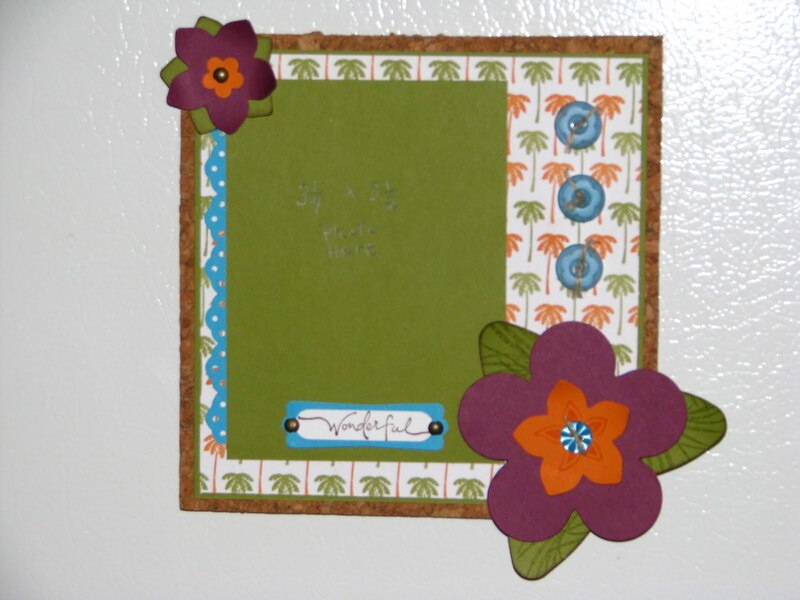 Here is a project I created using a 6x6 piece of cork, I made a frame to attach a picture, using Su's tropical party stamps , paper and big die; also some punches, buttons and ribbon. On the back is a piece of magnet, so you can put it on your fridge if you wish. I made this item for a customer who has recently had a vacation in Maui.